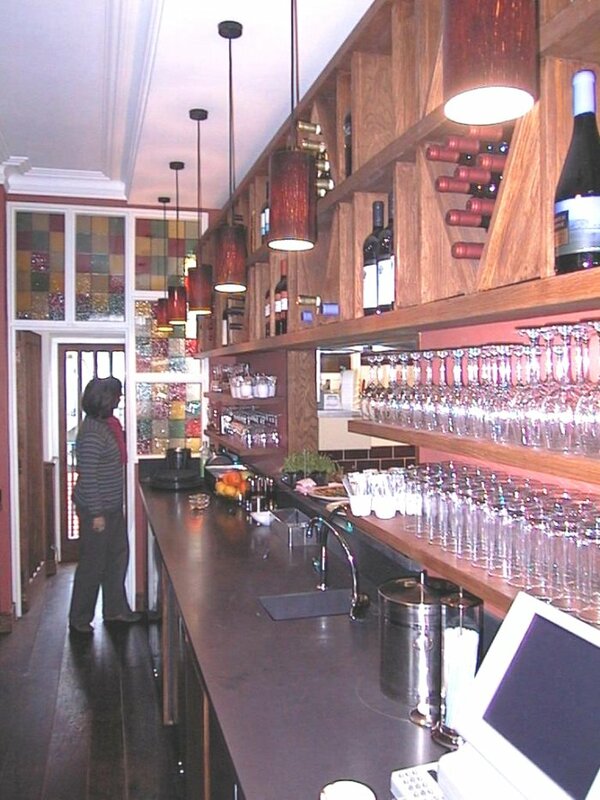 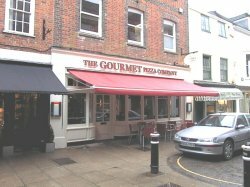 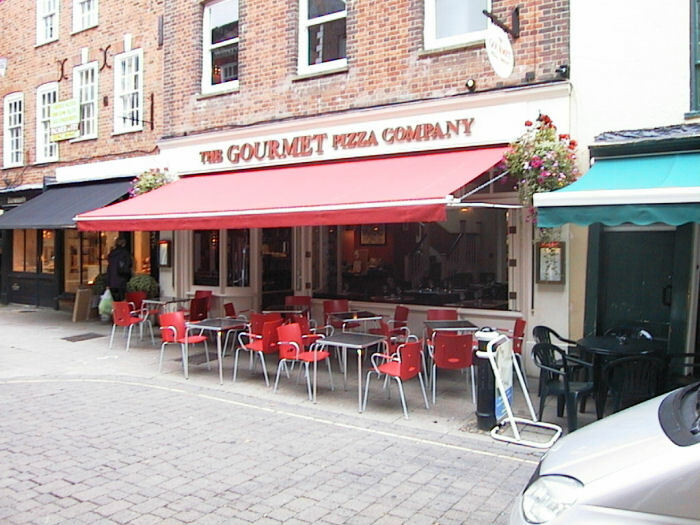 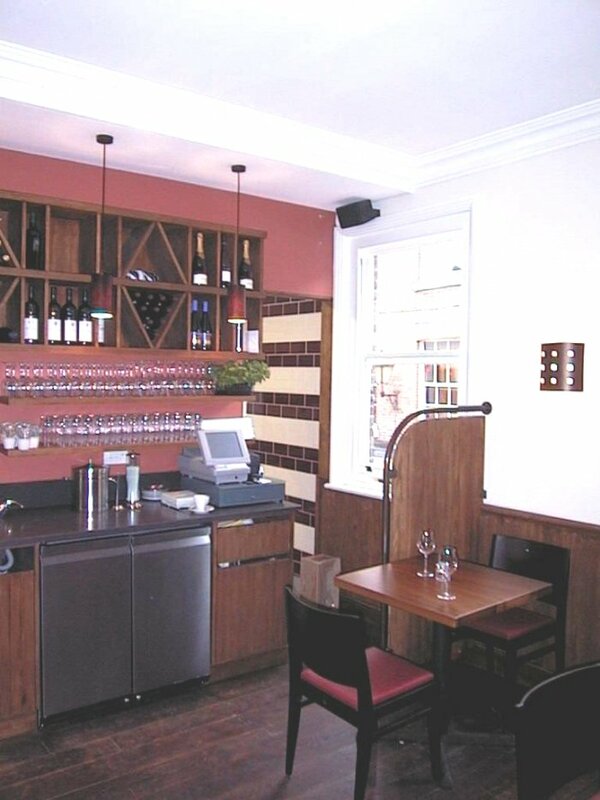 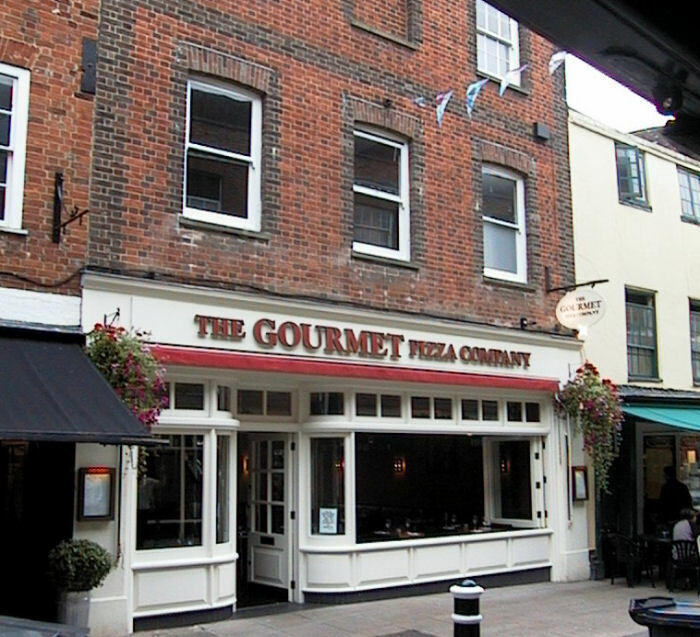 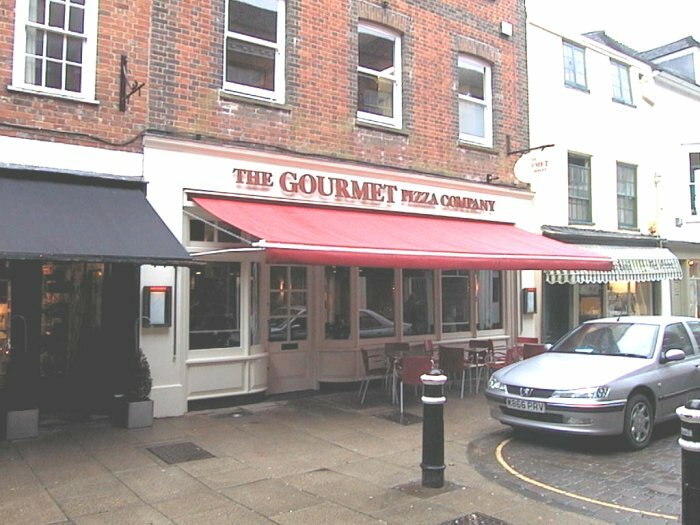 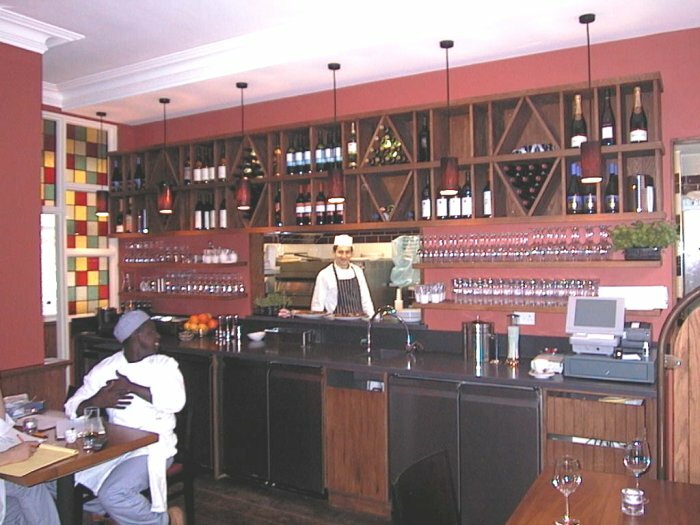 This restaurant in the Historic Centre of Winchester required close liason with the Local Authority to provide a new shopfront that was sympathetic to the City, but provided the client with an attrative unit. 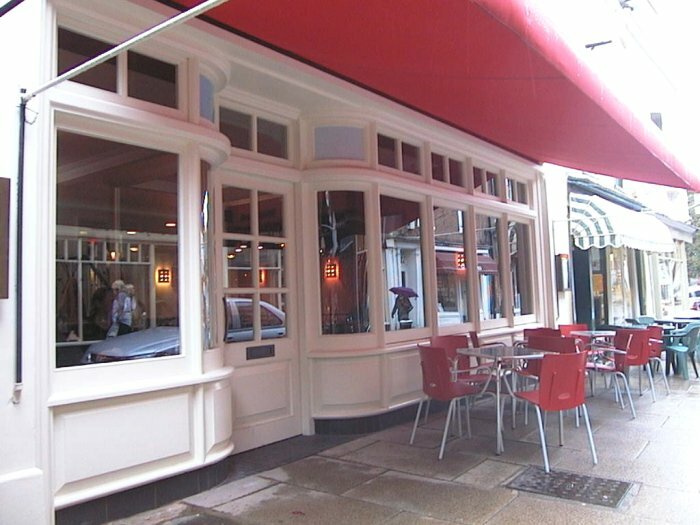 The shopfront is constructed with a raduised entrance and has the four wiindows on the right opening. 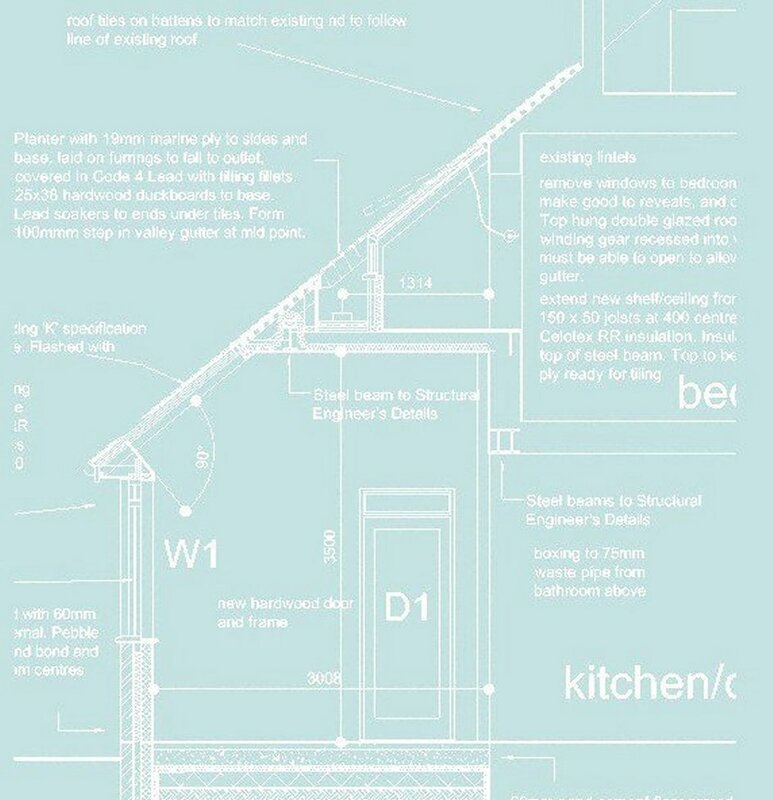 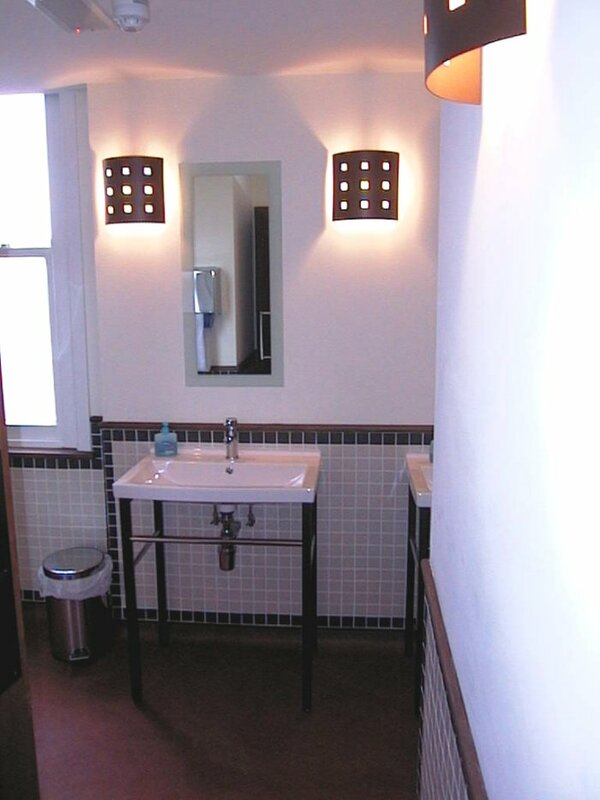 This required careful design to achieve, as well as complying with the Councils strict design criteria. 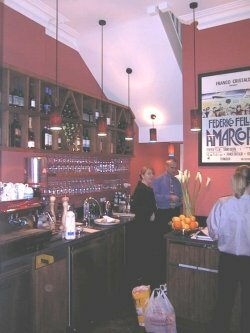 The ground floor beverage counter area. The Client required no low voltage lighting - so standard tingsten lights are used with candles in the evenings - a traditional approach which has been well received. 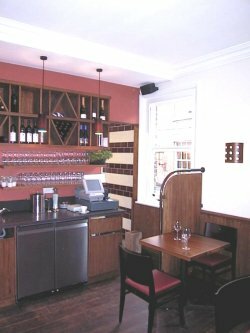 Full view of counter and into kitchen - chef taking a break! 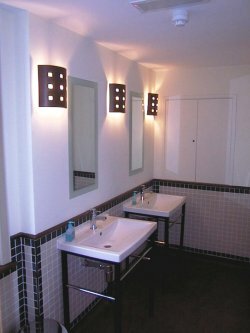 Basins on hardwood legs, new wall lights desigened for GPC and black and white wall tiles. 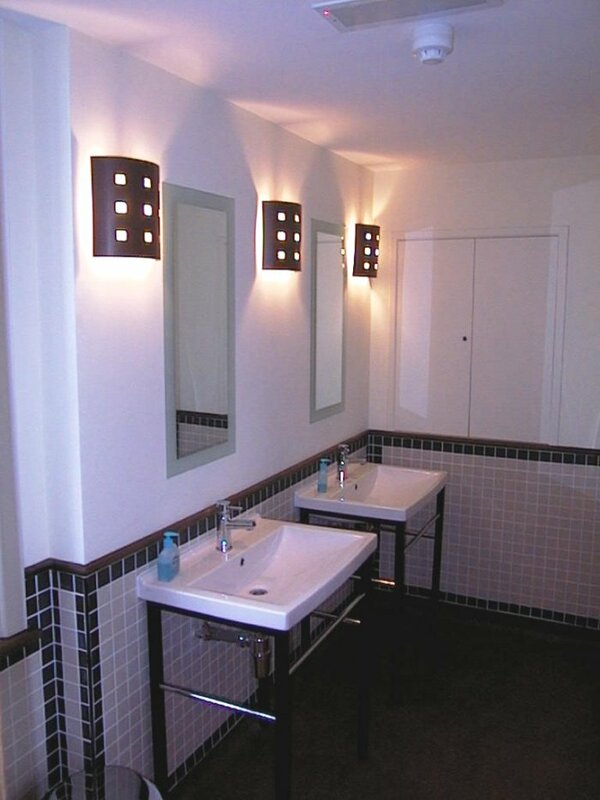 Simple mirrors.